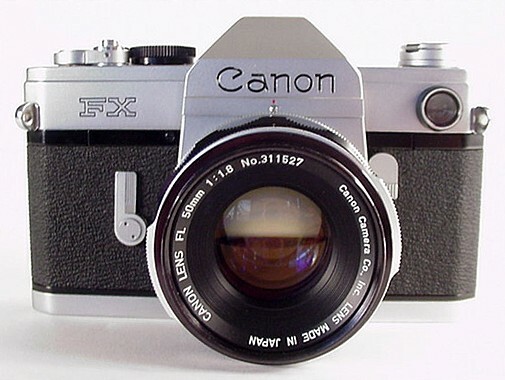 The Canon FX 35mm SLR dates to 1964 and was sold for two years. This example is very clean and fully functioning. 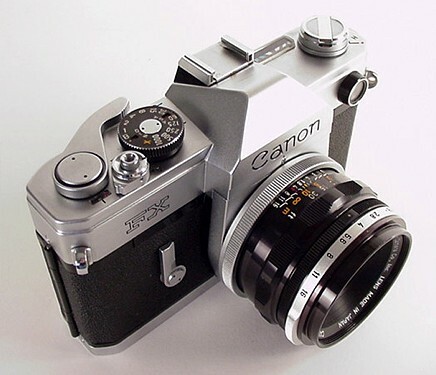 It would make an excellent camera for a student of photography or for anyone who enjoys shooting with a rugged, precision manual 35mm camera. It would fit well in a camera collection as it looks great on a shelf. The FX features an external dual-range coupled CDS exposure meter. The meter tests well against my Luna-Pro SBC meter, but I cannot guarantee perfect accuracy across its full range. The shutter is strong and does not hesitate at the slow speeds. Slides I have shot with this camera were beautiful. Shutter speeds range from 1 to 1/1000 second, plus bulb. The shutter has X and FP flash synchronization. The 50mm f1.8 Canon FL breech-lock mount lens focuses to 2 feet or .6 meters and stops down to f16. The lens mount is tight and secure and the filter ring has no dents. The camera also features a shutter release lock, mirror-lockup capability and a self-timer. 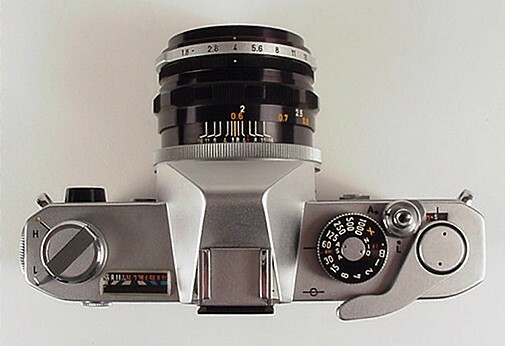 The lens is clean and clear, with no visible scratches. The diaphragm blades work smoothly and are free from oil. The viewfinder eyepiece has some cleaning marks and there are 3 small areas, 2 on the left and one on the right of the viewing screen, that are dirty or dim. None of these minor defects bothered me when I used this camera, and of course they do not affect the image. The viewfinder has a central split image focusing aid surrounded by a matte fine-focus ring. The viewfinder is bright and focus is easy to adjust. For a potential collector, I should mention there is one minor bright line in the finish of the reflex housing, and two small bright spots in the baseplate chrome. 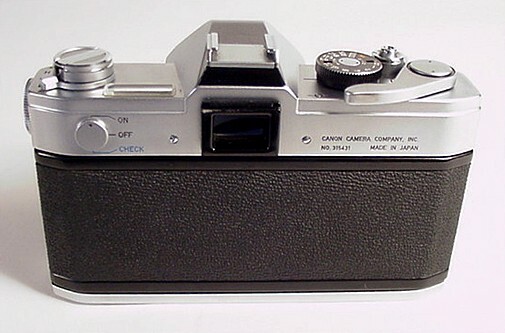 Neither the camera nor lens have dents or noticeable scratches.